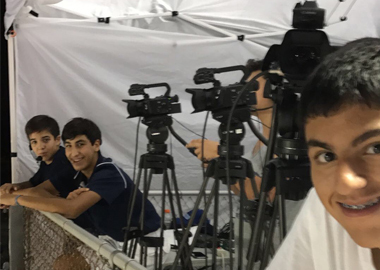 The NFHS Network School Broadcast Program (SBP) makes it easy for students to produce live video broadcasts by providing the software, tools and training they need. 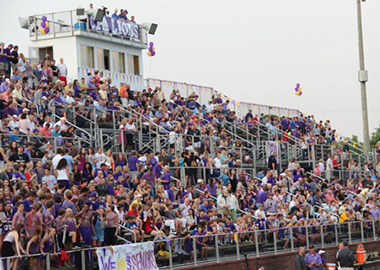 With our proprietary technology, schools can produce and distribute high quality events throughout the year including regular season sports, graduation, band, cheer events, as well as other school activities. 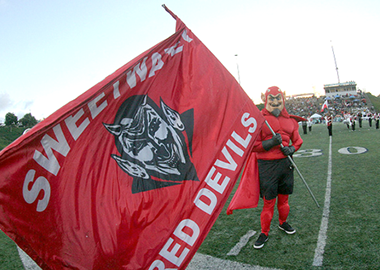 Broadcasting these events on the NFHS Network is a great way for a school to showcase its students and activities while strengthening the connection with parents, players, boosters and the community. The platform allows both live streaming and archiving for on-demand viewing. Your fans will be able to watch your events whenever they want, wherever they are. Becoming part of the NFHS Network School Broadcast Program is easy and you can get started with as little as a camera, a laptop, and an Internet connection. The NFHS Network School Broadcast Program provides a platform for students to learn about production and broadcast journalism. The program gives students an unprecedented opportunity to gain hands-on video production and on-camera experience. Participation in the program helps prepare students for college and professional careers in the journalism industry. 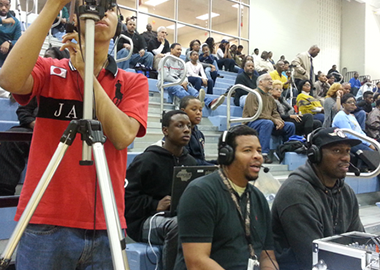 The NFHS Network School Broadcast Program provides schools with a platform to showcase excellence and to enhance their connection with the community. Participating schools have a dedicated school-branded channel that makes reaching alumni, friends, and family outside the local area easy. Broadcasting school events is a unique way to increase school spirit throughout the community. Live broadcasts of sporting events on the NFHS Network require viewers to purchase a pass to watch. The pass model enables schools to participate in the School Broadcast Program for free and provides an opportunity for the school to raise money. Schools receive 50% or more of the proceeds from school produced live events. – Omar Delgado, 2015 NFHS Network Teacher of the Year. – Robert Knox, Teacher and Coach. 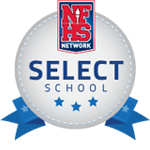 The NFHS Network salutes the participating schools that have earned the honor of being recognized as Select and Elite Schools for the 2018-2019 school year. Select Schools demonstrate excellent broadcasting skills, and Elite Schools not only have excellent broadcasting skills, but also excel in promoting their events and generating funds for their schools. 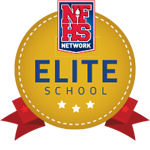 Please contact your Student Broadcast Program manager or email Accounts@NFHSnetwork.com to find out how your school can be recognized as an NFHS Network Select or Elite School. If your school is interested in joining the NFHS Network Student Broadcast Program, please send us an email to SBP@NFHSnetwork.com. We look forward to hearing from you and discussing how to implement the program at your school.